Well, these photos do not really do the house justice, but they are a start. 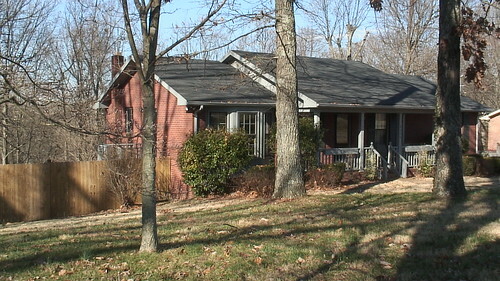 These are of our house back in Pegram, TN. Click the photo to see more. We live on around 3 acres of wooded land in a 2 story house that has 3 bedrooms, an office, 2 kitchens (1 eat in), a living room, a family room, 3 bathrooms, a fireplace, a studio for the tshirt company and more. Makes this little condo we live in here in SF seem a bit Ã¢â‚¬Â¦ inadequate.